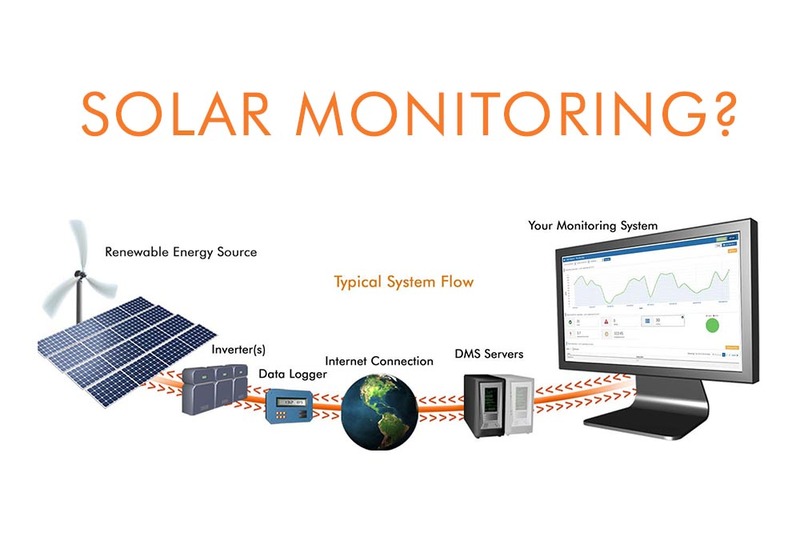 Solar monitoring is a critical part of a healthy, well-functioning solar energy system. After all, you've invested in solar energy and you know the costs to get your system up and running. But why spend all that money and have a system that runs poorly or, even worse, stops functioning? Solar monitoring, also known as photovoltaic (PV) monitoring, is used to monitor the performance of your solar monitoring system. This ensures that the solar energy system you've installed is performing as it should. PV monitoring works through your system's inverter, which converts direct current (DC) energy into alternating current (AC) energy. This information is gathered and presented to the you, the user, so that you are aware of the amount of power that has been generated. If your system is not working properly, energy generation will be lower, indicating that diagnosis and repair is needed. Solar monitoring systems are also used to promote business and to educate the public. With the right solar monitoring system, you can be sure that you can prevent excessively expensive repairs and some systems even come with troubleshooting capabilities and other advanced software to keep headaches to a minimum. These systems also provide an invaluable opportunity to market your company as environmentally friendly and to educate the public about solar energy.